originally posted June 3rd, updated as needed Last summer the world lost an icon, a phenomenon, a humanitarian, an "angel walking the planet". As the internet crashed and the breaking news sent shockwaves across the globe, three beautiful children lost the best daddy in the world and a family was left mourning the tragic loss of a brother, son, cousin and uncle, as others mourned a beloved friend. And while thousands moonwalked to Billie Jean in the streets, CDs flew off the shelves in every country, candles were lit and the praises of the true King of Pop, Rock and Soul were once again sung en masse, some of us simply sat weeping, too devastated to move, too shocked to breathe. To Michael Jackson's devoted fans, he was not just an icon or a legend; he was family. He was (or rather, IS and always will be) as close in our hearts as a dear family member, a best friend, a healer, a spiritual teacher for many, our inspiration and our strength. He changed lives and awoke people to the call of love and the mission to heal the world. And we stood by Michael, we defended him, we believed in him and we loved him when so many in the world would rather have seen him crucified. Words cannot express how deeply into the soul love can go or how utterly destroyed one can feel after a day like June 25th. But love, like the soul, goes on ... and what we do with it may be as important for the world as it is for us. So whether you're a 'new' fan, an 'old' fan or just enjoy his music, let us celebrate him with that love, let us bow our heads in respect, let us spread the L.O.V.E. in his honor, let us change the world in loving memory of Michael Jackson. And may we never allow the world to forget this amazing man, his caring, his kindness and the magical gifts of joy and hope he gave us all. Thank you, Michael. We miss you and love you so very much. You are forever in our hearts. TRIBUTES and fan gatherings to love and remember Michael and offer support to each other are taking place in cities across the globe on June 25, 2010 or on the weekend. Below is a list of things most could participate in no matter where in the world you are. Please feel free to add a comment if you know of happenings in your city and we will continue to update this post. Update: Also see a new site 625world.com where you can tell the world how you'll mark this day in memory of Michael and/or find other fans to spend it with. 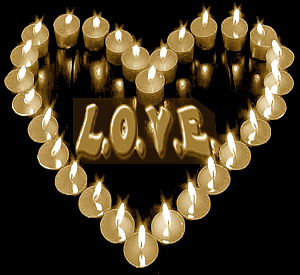 ♥ Major Love Prayer - Major Love Prayer will take place at 2pm Los Angeles time (see time zone chart) on the 25th as always. You can join in from home, from a fan gathering, from work, from wherever you will be. It is our hope that this prayer will be extra powerful, a massive global effort to heal the world with love, as a beautiful tribute to Michael Jackson. Please set a reminder on your cell phone and spread the word! Let us change the world and "all pray at the same time tonight". If you are organizing or contributing to an MJ-related event, we'd love you to find a way to incorporate MLP. You can contact us directly if you're planning to include the prayer in your fan gatherings or if you have any questions. Download printable PDF info sheets for the June 25th Major Love Prayer: N America / Europe / Other time zones (fill in the time). You can also print prayer instructions in your language. See the Guide to Monthly Prayer for links to translations in 14 languages. All prayer instructions also come in one-page easily printable PDF versions. ♥ MJ World Cry 2010 - Taking place just 30 minutes after Major Love Prayer, this is another tribue event in cities all across the planet. 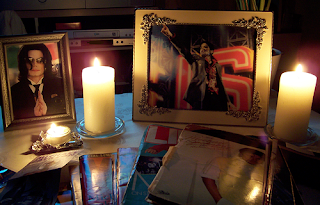 MJ World Cry seeks to unite us all in memory of Michael with a candlelight vigil accompanied by the song "Cry". ("If we all cry at the same time tonight.") Just like MLP, this is a not-for-profit simultaneous event, linking people across the globe at the same moment for a common purpose, to keep hope for a better world alive. To find an event in your city or become a World Cry ambassador, please see MJWorldCry.com. ♥ One Million MJ Fans Pledge to Light a Candle - at 2:26pm PT on the 25th. This also takes place just after Major Love Prayer. You can join their Facebook group to make the pledge. ♥ Charitable Donations in Michael's Honor -If you are able, another suggestion is to make a donation to a charity on the 25th in Michael's memory. A list of charities he publicly supported is available at allmichaeljackson.com. Some possibilties include Make-A-Wish Foundation or Great Ormond Street Hospital. Fans have also set up Memorial Funds with Unicef and the Nature Conservancy's Plant a Billion Trees campaign (MJ Fund ref no. 1207-5587). Speechless: A Tribute to MJ - The cast of the musical Thriller Live has recorded a beautiful tribute version of 'Speechless' for Michael, with proceeds benefiting the children's charity War Child. See Speechless MJ Tribute! ♥ Memories of Michael messages (official MJ site) - Leave your own personal tribute message to Michael on michaeljackson.com. No registration required to participate. As of the time of this post, there are already over 600,000 messages from fans around the world! We left the following: "Bless you, Michael. You've changed the world, changed our hearts, awoken us to LOVE and to the joy that can exist when we join together as ONE. We will never forget you and we will continue to spread your message of LOVE for the rest of our days. Thank you so very much for all the beauty you've given the world, for your caring and kindness. May you be surrounded in love, peace and light for always. You're forever in our hearts." ♥ One Rose For Michael - These are fans gathering small donations to purchase over 2000 roses that will be placed at Holly Terrace for Michael on the 25th. See the One Rose For Michael Facebook group to contribute. ♥ Doves of L.O.V.E. - A fan group gathering donations to have 200 doves released at 4pm on the 25th at the gates of Forest Lawn. The release will be done by a professional company in the L.A. area. For more information, see the Doves of L.O.V.E. Facebook page. ♥ Sending Flowers & Cards to Forest Lawn - There are several possibilities to send flowers and cards for those not in the L.A. area. The Sunflowers For Michael Project from mj-777.com has arranged for a weekly delivery of flowers accompanied by a card with our names and messages to Holly Terrace. (Thank you, btw!) Another group, Michael Jackson Fans of Southern California, gathers in front of the mausoleum every month on the 3rd and of course they will be there on June 25th with flowers and cards. For information about sending items, please see their website or the SoCal Facebook group. (Thank you so much as well!). Forest Lawn also has their own flower shop that can deliver arrangements to Holly Terrace. ♥ Personal words for Michael from fans - The All-for-LOVE-webteam wants to publish very personal statements from Michael´s beautiful international family of fans to honor Michael on this day. To find out how you can contribute a message/statement of your own, please visit the 'It's all for L.O.V.E.' blog. ♥ White Glove Day - Wear a white glove on June 25th in tribute to Michael Jackson. See WhiteGloveDay on Twitter for more information. ♥ 'We've Had Enough' Mass Download - Update: Campaign is now over.This fan group is asking people to purchase via download Michael Jackson's song "We've Had Enough" (found on the Ultimate Collection) from iTunes, Amazon or other legitimate retailer on June 14th. If you choose to participate, they ask that you please don't wait until the 25th. The download date of June 14th was chosen because it makes it possible for the song to reach the top of the charts in time for the one year anniversary, to give attention to this important, but not well known song and its message. For more information, please see their blog, the We've Had Enough Mass Download Facebook campaign or Facebook group. the SunFlowers For Michael Project---I went today June 3rd to the Mauseleoum but i didnt see anyone there, maybe they went later during the day, i ws there from 10am -10:30. i didnt know there was such a project. thankz MLP for this info! LOVE, peace and joy to your hearts. L.O.V.E. to everyone in our MJ fan-mily! A vibe of Major Love to you BeGodGlow! An opportunity to be One in love and peace. Love is the question and Love will remain the answer. Your work is cherished by those who remain loyal to the cause. We need MORE of this. Less division, more love. Mass meditation- the more people desire to raise their consciousness, the easier the Love will come. I need information on the Cleveland gathering at the Museum. Can anyone point me?